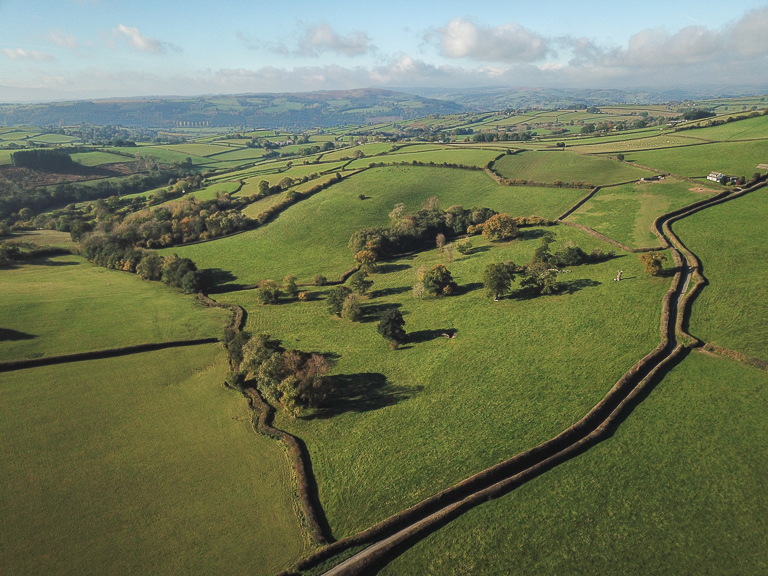 On Friday evening, Gee and I drove down to the Black Mountains – the northern part of the Brecon Beacons – to visit some friends who own a smallholding there. I’ve known them for 5 or so years, through church bell ringing and cycling, attempting silly challenges together. 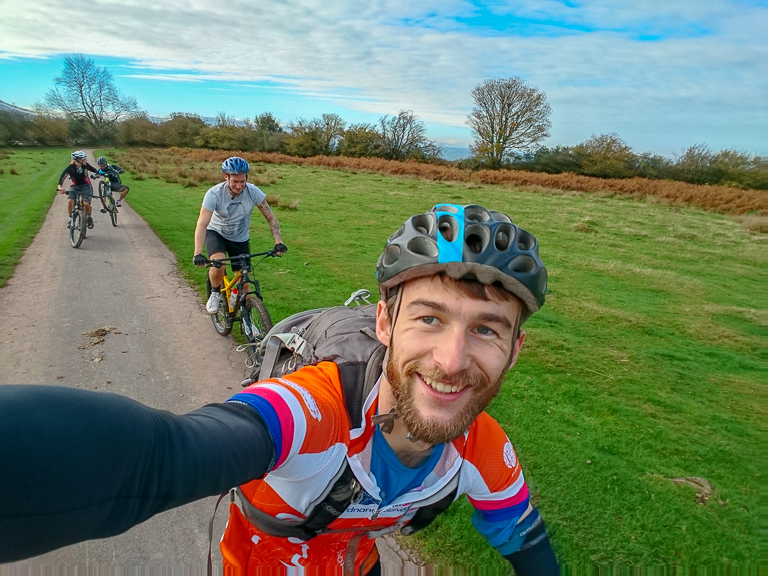 We did several 100 milers together and attempted Wales in a day – Holyhead to Cardiff bay in 24hrs. It would have been a 210 mile ride, however the heavens opened at around 140 miles and we decided to call it a day, but we did go back the next year with more friends and completed it in 2 days. Hal had some other friends over that suggested we go for a casual mtb ride together on Saturday morning. I was keen to get back out so I’d brought my bike to Hal’s, in its sorry state. We left their place and drove to Hay-on-Wye where we’d start our route. While the others had a bacon sandwich, I bought 2 inner tubes to replace the patched up leaking ones that were currently on my bike. 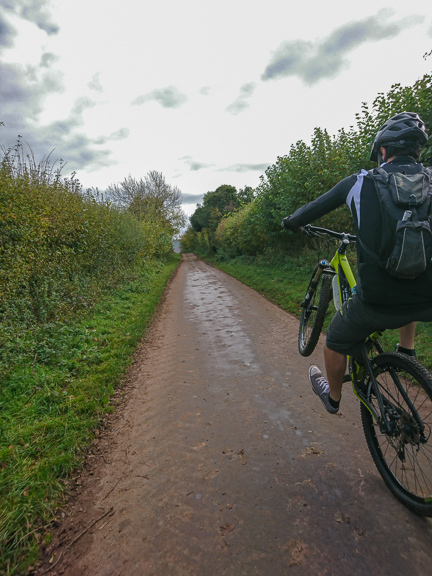 Bike fixed – I was ready to go. 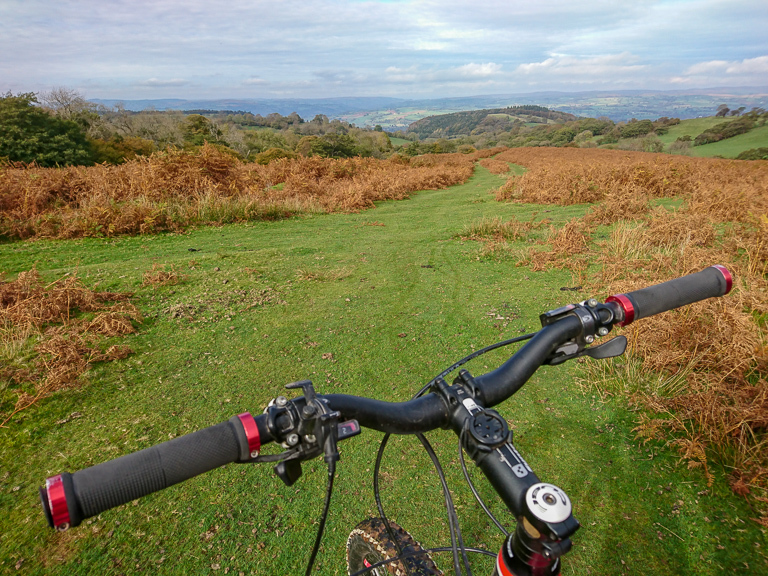 A short while later, we set out on the ride, predominantly on road towards Talgarth before turning up smaller and smaller roads leading higher and higher into the Black Mountains. The rain from the previous weekend (Storm Callum) had left a lot of standing water and washed out some parts of the tracks. We ascended over a mix of terrain, before reaching our first real view point, looking out towards Brecon and the Horseshoe comprising Corn Du, Pen y Fan and Cribyn. It was a surprisingly clear day and very still – amazing conditions for mid October. 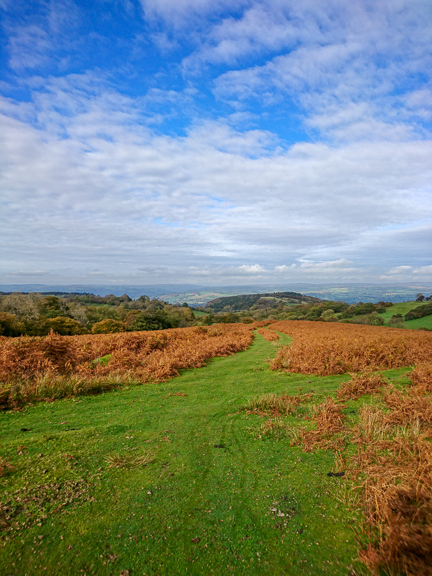 From there we kept on ascending, coming on and off small roads and common land before finally reaching the high point of our route, beneath Lord Hereford’s Knob. We descended for 4km to LLanigon, down some fast loose sections and crossing several rivers. We regrouped at the bottom and headed back along the road into Hay – a great warm down after the strenuous decent. We all ate some well earned cake, before meeting up with the girls for a pub lunch! 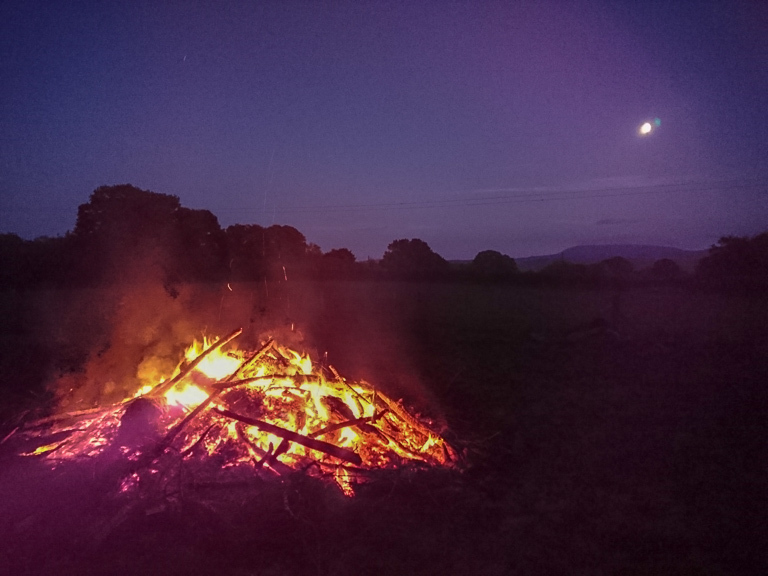 We bought some marshmallows on the way back and melted them on the bonfire later that evening. 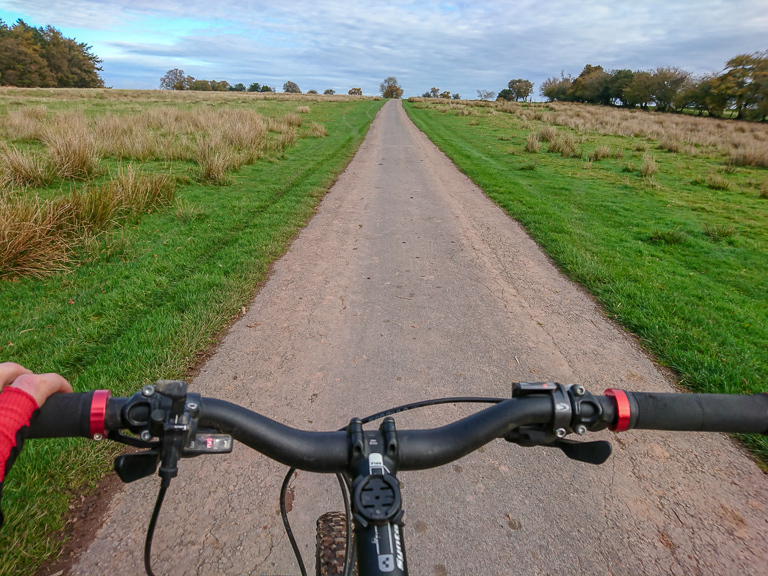 All in all, a great day – an amazing few hours out on the bikes with friends followed by a good hearty meal, in surprisingly nice weather conditions!